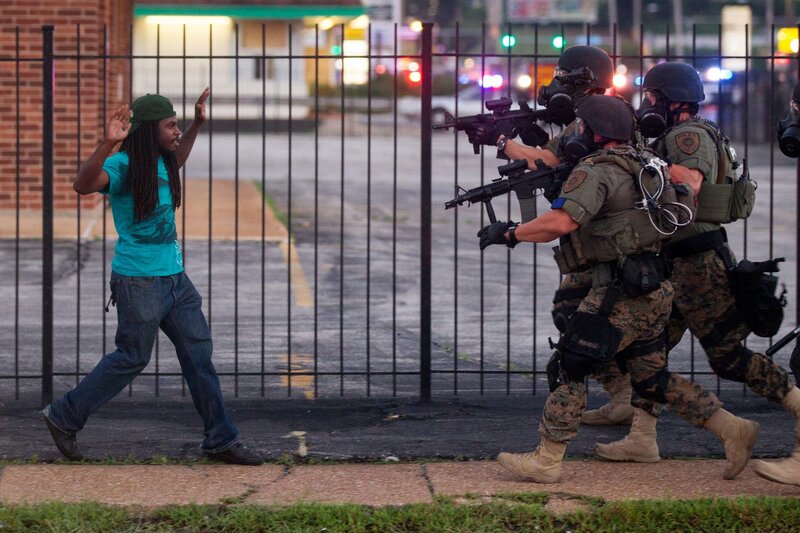 What Would a Better Ferguson Response Have Looked Like? As scenes of heavily armed and armored police officers standing shoulder to shoulder on the small streets of Ferguson, Missouri, played out in the news, people not just in the United States but around the world were shocked and dismayed. Personally, I was appalled by what I was seeing. But it isn’t because I don’t like police or understand police tactics. To the contrary; I was stunned because what I was seeing flew in the face of what I had learned in the five years I served as a city police officer, including two years on a Special Response Team that received advanced training in crowd control and riot response tactics. What does good policing look like after an officer-involved shooting? Local and federal investigators are continuing to look into the many problems that bubbled up and boiled over in Ferguson, and it may be months before we get a coherent picture of everything that happened. Here are some preliminary thoughts on what went wrong and how the Ferguson and St. Louis police could have gotten it right. No community and no police department should ever be comfortable with officer-involved shootings. They are often justified, sometimes even unavoidable, but when an officer takes a life there should be an uncomfortable reverberation—it is not something to take lightly. The agency must explain what happened not just to the public but also to its own officers, the better to understand how to avoid it in the future. Those explanations take time and require meticulous investigation, and by all reports, the Ferguson police had started that process. They had secured the area around the scene of the shooting to take the many measurements that forensic analysis requires. In the process, however, they left Michael Brown’s body sprawled in the street. I’ve been on shooting scenes, so I understand that it was, in all likelihood, necessary—no one wanted to risk throwing off the measurements that a forensic reconstructionist would use. But no one explained that to the community, who saw only a young man’s body lying uncovered on the ground. For hours. This wasn’t the only example of such extreme insensitivity that it borders on being sociopathic. When the officer’s name was finally provided six days later, it was accompanied with information implicating Michael Brown in a strong-arm robbery that occurred shortly before the shooting. Although relevant to the investigation into the shooting itself, the release of that information could not have been more poorly timed, further outraging the community—a prediction made by federal authorities, who were opposed to the release. Immediately after medical issues were dealt with and the scene was secured, officers should have been making contact with everyone in the immediate neighborhood. They should have asked witnesses for information, of course, but they also should have told non-witnesses that there had been a shooting, explained that information was limited, and described both what the department was doing right then and where people could go or whom they could talk to for additional information in the future. The police chief and his immediate subordinates should have been talking with community leaders and arranging public conferences and town hall meetings, telling the public that although they didn’t have all the information yet, it was being gathered as quickly as possible and it would be provided soon. The ranking officers should have worked with community leaders to set up safe spaces for people to gather to mourn, to wait for information, and to protest. Part of the police response should have been to take steps to make people feel that they were being respected, that their frustrations and concerns mattered to the police department and local political leaders. According to a visual timeline of the events, the day after Michael Brown was killed a candlelight vigil turned ugly, with several cars damaged and stores looted. The police response was swift, but not targeted. People who had not even heard about the looting were suddenly looking at lines of officers with snarling canines, gas masks, riot batons, body armor, Pepperball guns, tear gas launchers, and, most shockingly, rifles. As in “put a bullet downrange at over 3000 feet per second” rifles. What may have started as a laudable effort to prevent looting and violence became the draconian imposition of control. For a community that was reacting in anger and frustration to an officer’s shooting, the display of force was like pouring fuel on the fire. Worse yet, the police provided no clear direction or explanation about what was allowed and what wasn’t. There was no clear objective or consistent strategy. Some crowds were scattered by tear gas and rubber bullets, some not. People were pushed out of areas officers didn’t want them to be in, but without being told where they could go. Others—including the now-famous example of two journalists working in a McDonald’s—were taken into custody even though they weren’t part of a crowd. Crowd control and riot response is a delicate balancing act. Officers must distinguish between looters and protestors, and they must prevent or apprehend the former while respecting the latter. This is rarely easy, but the collective experience of law enforcement agencies nationwide has provided some basic ground rules. The Ferguson police should have kept the displays of force to a minimum. A few officers in normal uniforms—not Deltoid combat body armor—should have been monitoring the crowds, ideally acting as liaisons for the public, community leaders, and protest organizers. Officers in riot gear should have been staged in tactically appropriate areas, close enough to respond quickly to actual disturbances but out of sight of the crowd—a crowd that was, after all, protesting police violence. When an aggressive response was called for (and make no mistake, it was called for when a store was looted or a car burned), officers in riot gear should have moved in quickly in a phalanx formation designed to clear the immediate area. When it was clear that the protestors themselves were opposed to the looters, officers could have been used in surgical teams to go around or, when appropriate, into the peacefully protesting crowds to apprehend the individuals engaged in criminal behavior. Tear gas, smoke, and rubber bullets should have been used to supplement, not replace, officers moving in to physically clear an area, and then only reluctantly. There was no reason—and I cannot emphasize this enough—for officers in the front lines to have been holding rifles, let along aiming rifles at anyone. An officer with a rifle might take an unobtrusive position overlooking the area, but that officer should not be among the guys and gals who are potentially going to be going “hands on” with protestors. What were they going to do with them, shoot into the crowd? If rifles were needed near the front lines, they should have been secured out of sight (perhaps in one of the many police vehicles) or, at most, carried unobtrusively by a few officers in the back rows, not staged on top of armored cars in the middle of the street. That was pure intimidation, and intimidation is not good policing. The Community Did Not Trust the Police, and the Police Did Not Trust the Community. The approach that I’ve suggested in this article isn’t exactly mind-blowing. It is, I think, a fairly basic mix of common sense and tactical training, and it is reasonable to assume at least someone in Ferguson or St. Louis had at some point received tactical training. So happened? Why did the Ferguson Police Department and St. Louis County Police Department react the way they did? To understand that, we have to appreciate the nature of the police/community relationship. Like any long-term relationship, the bond between a law enforcement agency and the community it serves must be built on communication, respect, and trust. And like any long-term relationship, it takes a great deal of work to make it succeed. In Ferguson, that bond had broken down long before Michael Brown was shot. Broken relationships change the way people behave. In a broken marriage, bitter spouses are quick to see the worst in each other. The same thing happens in a broken police/community relationship. When there is mutual distrust between the community and the police, officers expect the worst from the community. That, in turn, changes policing tactics, increasing the frequency of force and discretionary arrests. 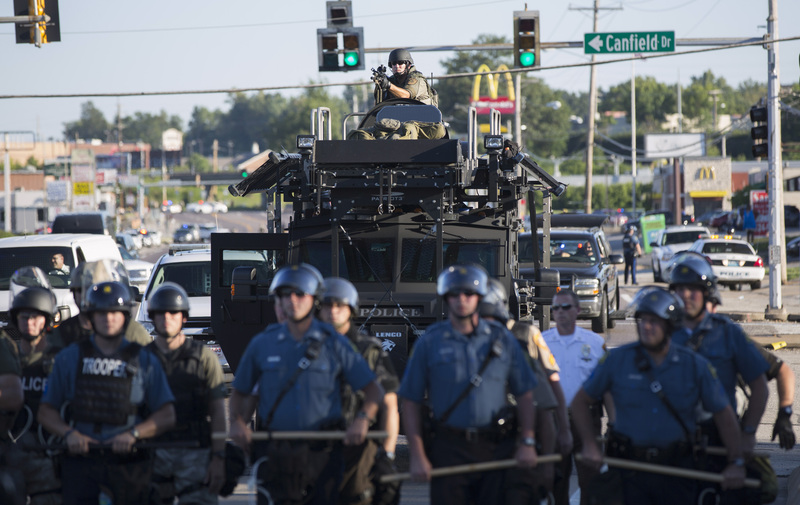 In Ferguson, officers viewed the community as hostile. That led them to be afraid. Afraid that they would not be able to handle the situation. Afraid that the protests would spiral into uncontrollable riots. And so, expecting the worst, they reacted not to the situation they were actually faced with, but to the situation they feared. This, of course, brings us back to broader questions about police/community relations. The loss of public trust is the most critical problem facing police officers today. It makes officers and communities less safe. It gets in the way of criminal investigations. And it reduces officer morale and increases the potential for misconduct. The loss of trust is a tremendous problem, but there is no simple solution. The racial tension in modern policing has been built on generations of bad experiences, and it will take generations of good experiences before the chasm can be bridged. But those good experiences will not happen if police continue to use strategies that alienate communities and tactics that are unnecessarily antagonistic. Ferguson and every other city and town in the country need police to make both strategic and tactical decisions with a long-term community relationship in mind. 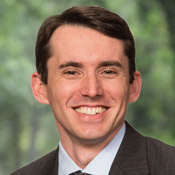 Seth Stoughton is a law professor at the University of South Carolina School of Law, where he is affiliated with the Rule of Law Collaborative. He served as a city police officer and state investigator for more than seven years and recently spent two years teaching at Harvard Law School as a Climenko Fellow and Lecturer on Law.